This paper presents a methodologicl and mathematical study of the main regularities related to the distribution of scientific productivity. 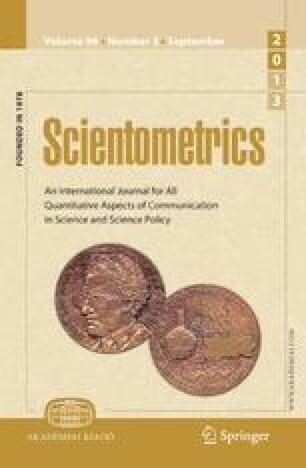 An analysis of the se regularities is given from the point of view of two approaches, the frequency and the rank approaches, to the problem of scientific productivity. The connection between these approaches is studied and a number of mathematical formulas that are both of theoretical significance for the understanding of information data basis formation mechanisms and of practical one, in particular, for the estimate of Bradford's law parameters, are deduced. The relation between the scientific productivity distributions under consideration and the stable non-Gaussian distributions is analyzed. The formation of the corresponding regularities of scientific productivity is regarded as a consequence of probability process combined with deterministic one.